Popular wisdom says: “Measure seven times, cut once”, and this self-respecting designer should follow this rule before creating an interior. For a start, it is important to pay attention to the organization of the space, as well as carefully plan everything. We are talking about measurements, zoning of premises, creating sketches, etc. Consider the future interior of the house or apartment in detail will allow 3D-visualization, when you can “visit” in a particular room before the repair or construction work. While working on sketches, one should certainly take into account the technical parameters of a specific room, take care of the materials that will be needed to implement the design ideas. The finished plan is agreed with the customer and you need to be prepared for the fact that it will have to be redone several times. Having defined the general appearance of the premises, it is necessary to implement all this technically. At this stage, drawings are made, technical details of the project are indicated (measurements, description of finishing materials, zoning, etc.). It is also important to incorporate knowledge about ventilation, electrical and plumbing systems. 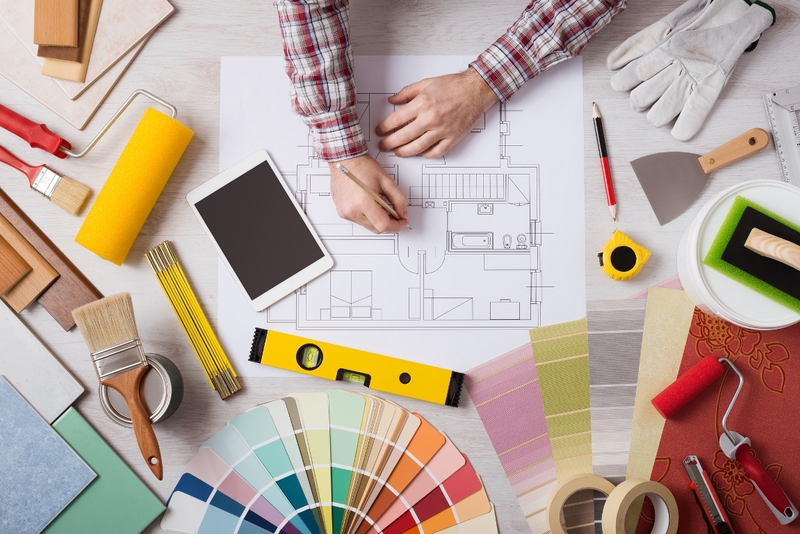 Project budgeting is considered one of the most important professional skills of an interior designer. With the right approach, it will be possible to draw up an indicative budget for a design project, affecting, at the same time, the issues of equipment and implementation of this project at the first meeting with the customer. The task of the designer is to present in detail each of the stages of work, to draw up a budget that will be required for them, as well as to provide for any additional costs that may arise in the process of project implementation. At the exit, there should be a clear idea of ​​how much for repairs are involved, how much equipment, materials and furniture for the future interior will cost. The client, for his part, must specify all his wishes, in order to avoid all misunderstandings in the future. It is important to understand that repair is an event that does not exclude questions and controversial situations. That is why the help of qualified designers here is definitely appropriate.